Save money – install your own memory! If you can change the batteries in your TV remote, you can install your own memory. It might seem tempting to take your computer to a repair shop and have an expert install memory, but it's costly – especially when you can install memory yourself in minutes. 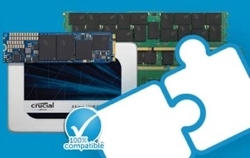 You can find compatible, affordable memory in less than 60 seconds using the System Scanner tool, which will analyze your system's hardware and recommend best-fit upgrades based on your system's unique specs. A computer shop may charge you for this service, but it's available for free. 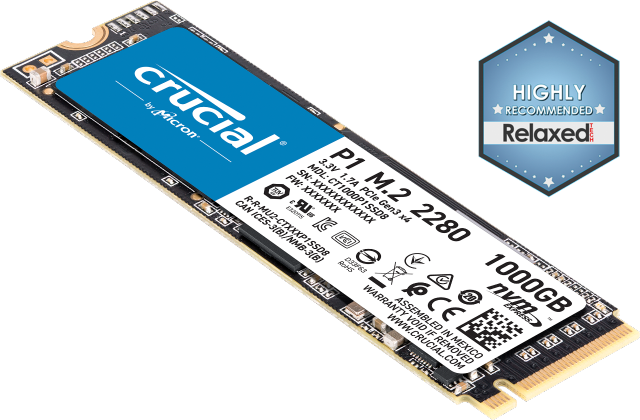 Even better, the diagnostic information you'll receive from the tool is backed by one of the memory industry's best compatibility databases, so you know you're truly getting one of the best possible upgrades for your system. Computer shops typically mark up the components they install, and they may use a range of brands that might or might not be manufactured to the industry's most stringent standards. By choosing the modules you want to install (along with researching how they're made and tested) you can make the best, most informed decision – and often save on the cost of modules. When a computer shop installs memory for you, they typically charge an expensive hourly rate or flat installation fee. While fees vary by shop, they can reach as high as half the cost of the modules you'll be installing (an added cost). By installing memory yourself, you'll avoid paying for something you could do in minutes. When you pay a computer shop to install memory, you'll have to disconnect your system, load it in your car, deliver it to the shop, pick it up at a later time, then finally bring it back to your house and reassemble everything. That's a lot of extra work, and it brings up the ultimate question: how much is your time worth? By installing your own memory, you'll save time and money, increase your confidence, and learn a little about your computer in the process.